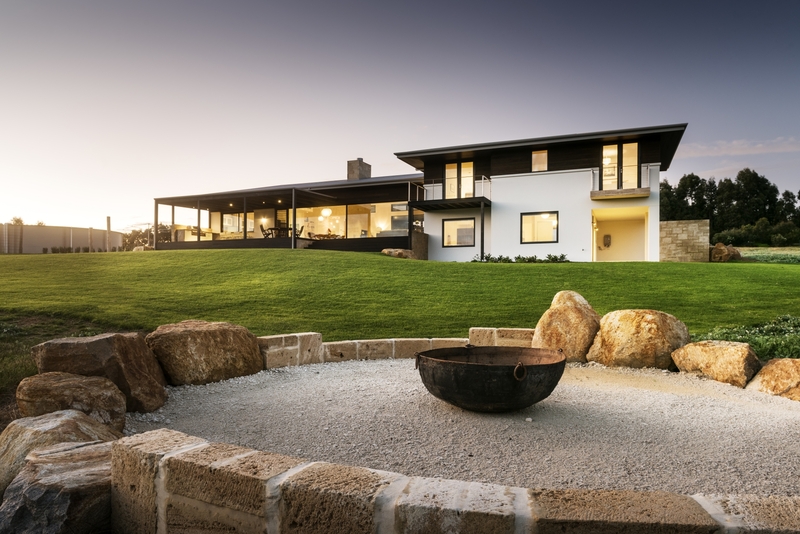 The relaxed sense of connection to the rural surrounds is achieved by completely opening the home onto the land, removing fencing and barriers between the native bushland and personal living spaces. With 10m of glass that completely opens out onto the alfresco area, taking advantage of the stunning views and northerly aspect, the end result is nothing short of spectacular. Everything in this home has a purpose, from the limestone fireplace to the detailing in the ebony stained timber cladding, nothing has been left to chance. It is yet another example of craftsmanship of the absolute highest standard.